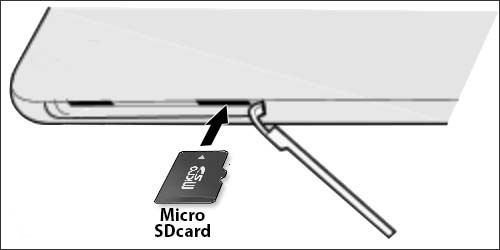 From the left edge of the device, open the SIM/SD / Memory Card cover. 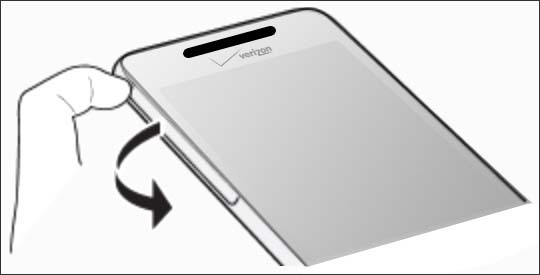 With the gold contacts facing down, align the card (notch first) then slide the card in. Gently press the card in to latch into place. Close the slot cover and press the cover until it clicks into place.